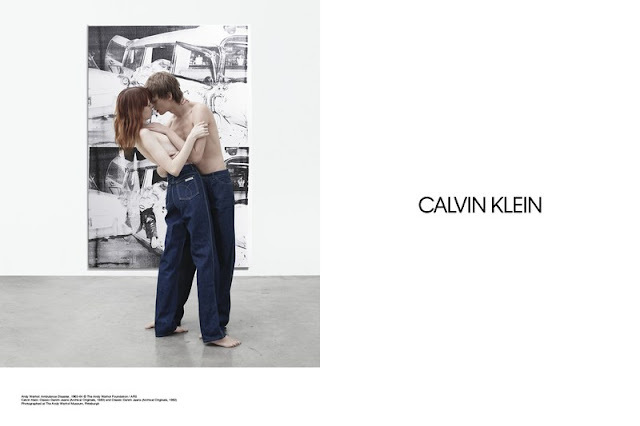 It's been six months since the announcement that designer Raf Simons was taking over the American brand Calvin Klein. 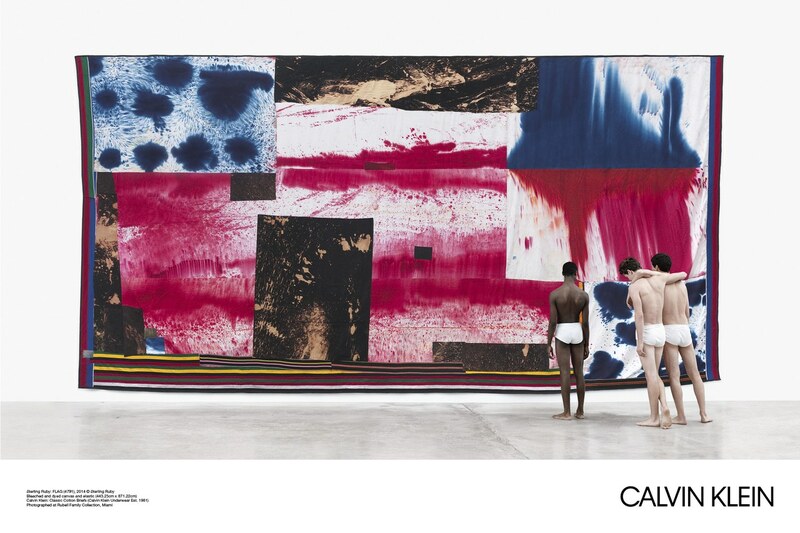 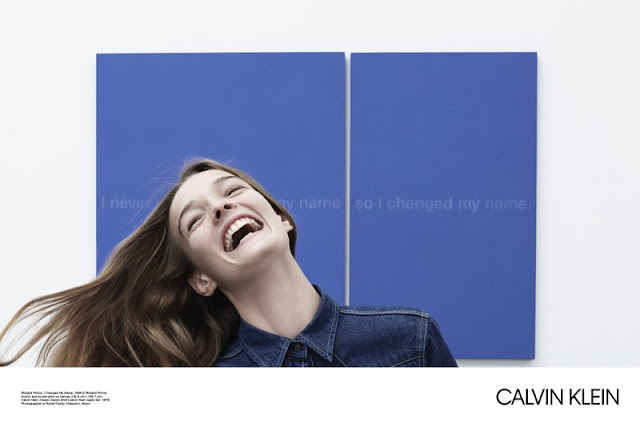 Raf Simons overhauls Calvin Klein’s Logo and with the first campaign creates a new spirit for the iconic underwear. 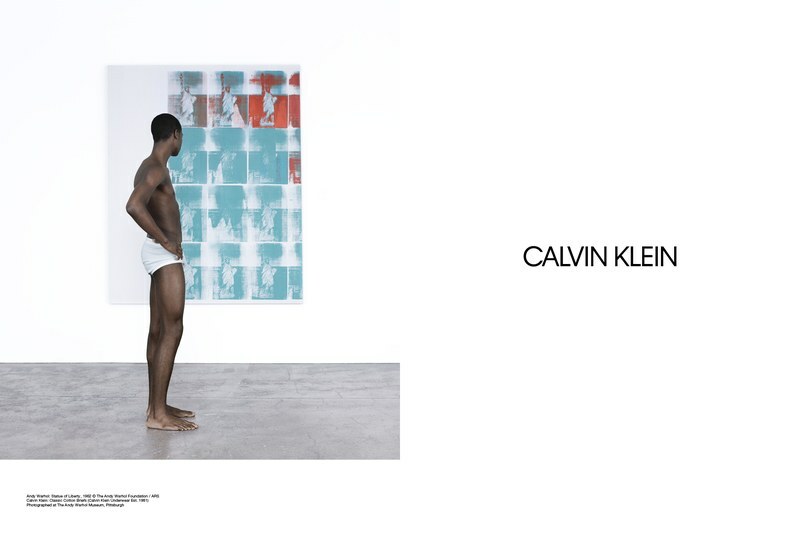 With a series of eight images, shot by Willy Vanderperre, art takes precedence over clothing, with models wearing simple yet iconic Calvin Klein pieces—jeans, white T-shirts, briefs—while large-scale artworks by iconic American artists loom in the background. 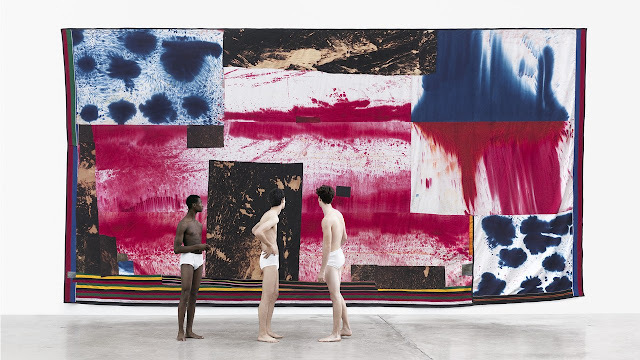 Simons is a well-known art lover, so it makes sense that he'd frame his models with pieces by Richard Prince, Sterling Ruby, and Andy Warhol. The brands logo has been restyled too, thanks to art director and graphic designer Peter Saville (the mastermind behind the iconic album artwork of groups like New Order and Joy Division). 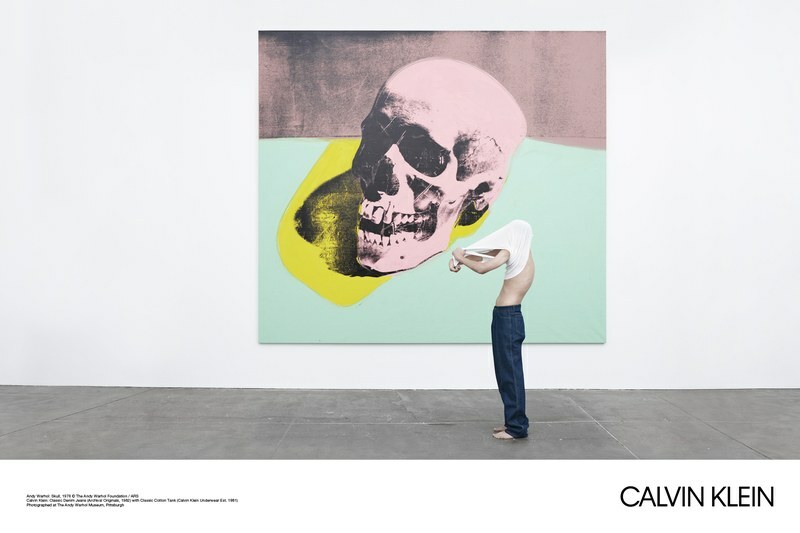 Andy Warhol, Skull, 1976 © The Andy Warhol Foundation / ARS. Photographed by Willy Wanderperre at The Andy Warhol Museum, Pittsburgh.